A new housing lottery has opened in West Farms, Bronx, and is accepting applications for low- and middle-income renters. 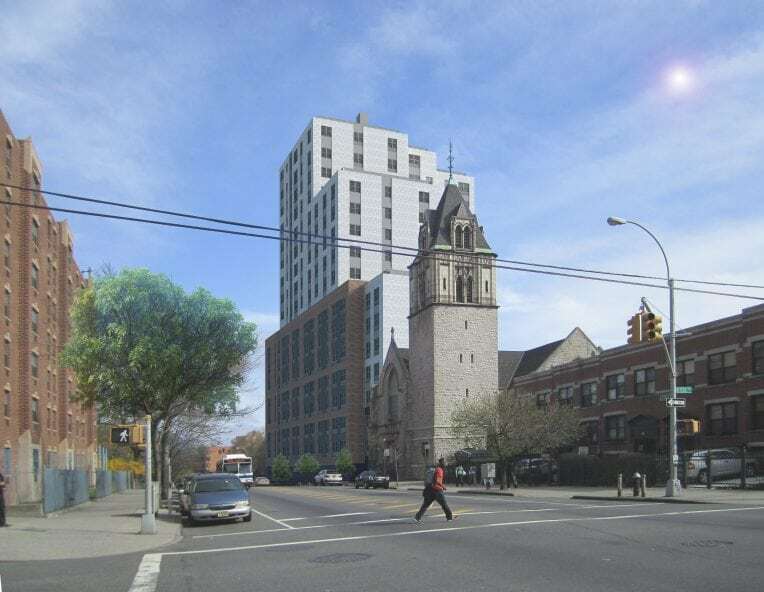 Rents for the 988 E. 180th St. housing lottery start at $761 for studios and go up to $1,166 for 2-bedrooms, varying with income and household size. If interested, renters should apply through NYC Housing Connect before the deadline of April 2, 2019. To apply, you must meet the household income requirements. These range from earning 60 to 100 percent of the area median income (AMI) or, between $27,978 and $104,300 annually. Other factors also may influence the selection process. Applicants with disabilities impacting their audio, visual or mobile facilities receive special preference. The new building at 988 180th St. is part a larger redevelopment project of the former Lambert Houses that occupied the area. The 18-story project will have 163 units total with 49 of those available via lottery. Residents can expect a 24-hour attended lobby, laundry facilities and bike storage. The new complex is also just a few blocks from the Bronx River Parkway and the Bronx Zoo. Easy access to the 2 and 5 trains at West Farms Square gets commuters into Midtown Manhattan in roughly 40 minutes. The deadline to apply is April 2, 2019.